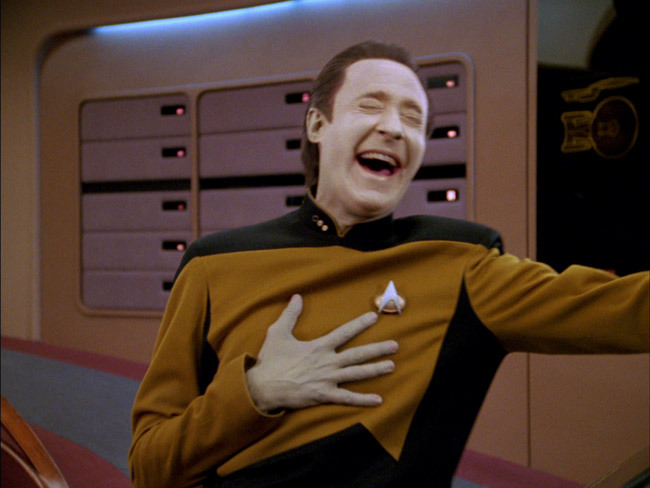 You mean to tell me you’re not using data to direct your social media efforts? Social media marketing is often used to pull in new followers at the top of the funnel. People cast a wide net but in many cases, completely miss the mark when it comes to tracking their efforts. They neglect to set concrete, measurable goals – in other words, they neglect to run structured social media campaigns. Why should you be running social media campaigns? They are the rudder that steers the boat in a particular direction, charting the course for your activities. And setting finite start and end dates allows you to track your progress so you can iterate and get even better results. If you’re not using data to direct your social media campaigns, then you’re missing out on massive opportunities. The opportunity to get to know your audience better, the opportunity to reach a larger audience, and the opportunity to fully understand the results of your efforts… so you can optimize them accordingly. So how do you get the most out of social media with data? If you want to become a more data-driven social media marketer, you’ve got to learn from others who are already doing it well – and the web is overflowing with articles that can help on that front. We’ve rounded up five articles that break down how you can use data to get the most out of your social media campaigns. Ready to reap the benefits? Read on. On landing pages and on social media alike, you need to know your customers’ needs before you attempt to speak to them. For that reason, buyer personas are a part of the foundation of any successful social media marketing campaign. As this article from Hootsuite by Pierre Borodin outlines, buyer personas are representations of the people who are buying, or might buy, your product. With buyer personas, you ‘re able to understand your customers better. By more fully understanding your customer through buyer personas, you are taking the first step toward creating campaigns that really speak to their needs. In order to get the best information to create buyer personas, you need data. And guess what? You can collect that data through your different social media channels. Facebook Insights, Twitter Analytics, LinkedIn Groups and other tools contain the information you need to learn about your customers in and out. Crafting buyer personas? Glean insights about your customers through social media analytics. This article explains that by listening to your customers through these channels, you’ll build models that clearly outline who your customers are, which will ultimately allow you to create the right messaging for that audience. With the rise of several tools that allow marketers to calculate social media ROI, many articles are pushing the importance of tracking the impact of your social media campaigns on your bottom line. But all too often, these articles focus on “clicks” or “conversions” – failing to account for the fact that everyone makes their journey to conversion a little bit differently. 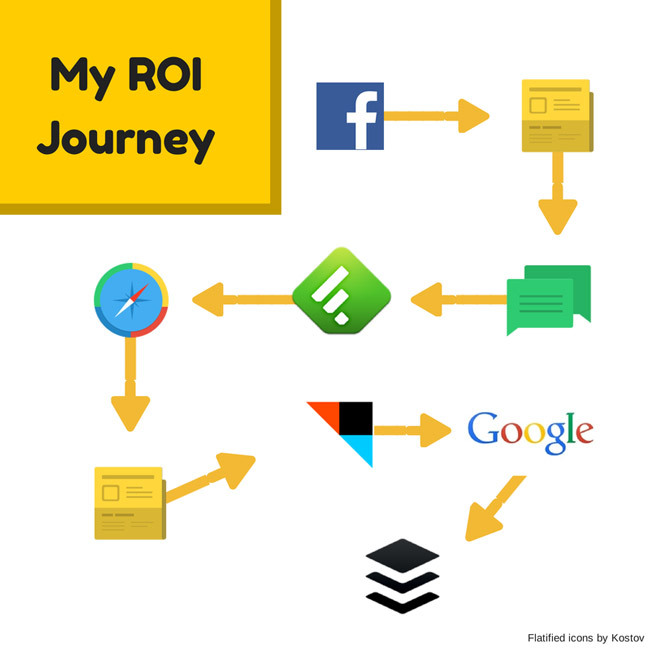 In this Buffer blog article , Kevan Lee explains how Buffer has started to look at social media ROI a bit differently – by tracking deep down the funnel. Kevan discovered Buffer on Facebook, read the blog, and then continued to return to the site through various means and social media channels before finally converting. Kevan goes on to explain why Buffer is measuring email signups as their number one social media campaign goal, with conversions from their blog as the number one metric. The point is to create a base of engaged customers who, while they may take their time to convert — and may not do so directly from a social media click — have all the resources they need to make an informed decision. The answer: Yes. But not how you think. 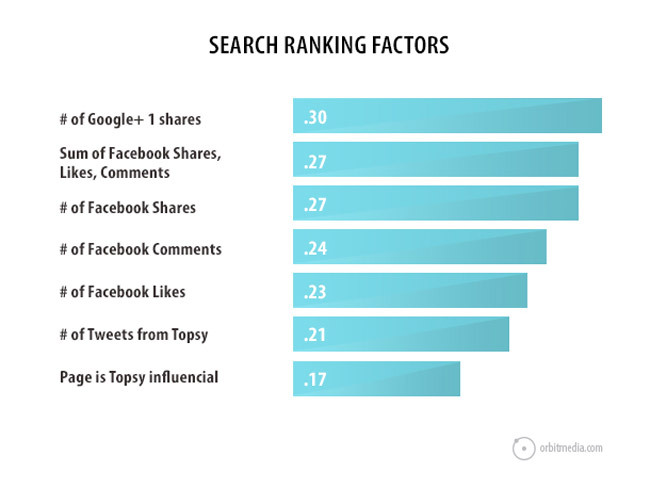 As Andy explains in this article, social media doesn’t affect SEO because of the social links themselves, but because people are spreading the word about your content. If the content is noteworthy, if it provides value to readers, they will link to it (like I’m doing here). Those incoming links help to build authority for that page, which helps search engine ranking. In the end, the point is to have content that people want to share, and that those who read it will want to talk about. KISSmetrics has data that shows how hashtags can help businesses share more effectively. A hashtag does not have to go viral every single time — hashtags can be used for increased audience interaction through Twitter chats, as Jordie Black points out. Twitter chats are a perfect way to show your audience you are listening. It’s a way to understand your audience and find out what it is they want to know. It’s a way for your audience to ask you questions and get answers. 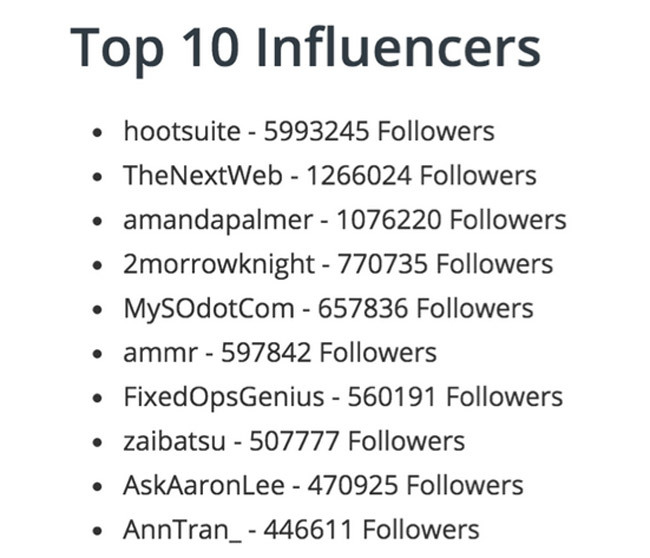 Buffer manages to reach a wider audience through the people they are connected with on Twitter, as we see below. Through these followers and the interactions through the hashtag, they’re able to reach a much wider audience. Because these followers also have a large number of followers, those who are following them get to see the interaction, and are made aware of the hashtag and, subsequently, they become familiar with Buffer. In a nutshell, this article explains that by using hashtags as both a connection and a listening tool, you can get a lot more out of social media than you would by just waiting for people to find you. What is the value of a Facebook fan? Jon Loomer, a Facebook marketing consultant, wanted to find out, and he shared his findings in this post. To get to the true value of a fan, you’re going to have to go past your Facebook Insights and Google Analytics. 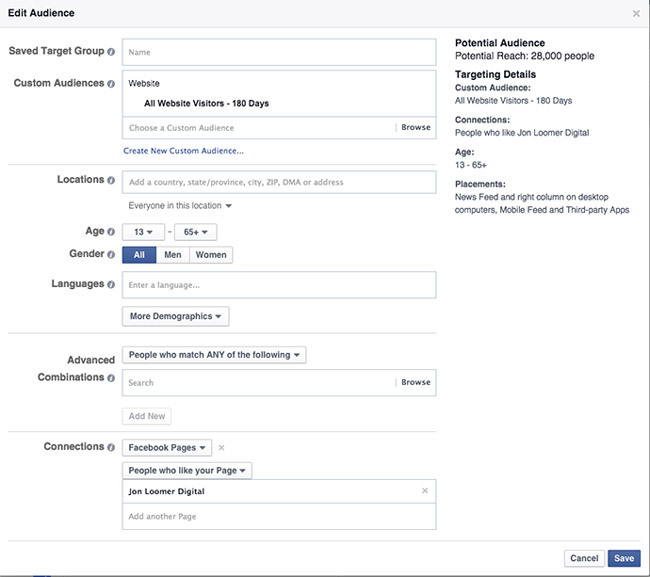 A look at the process of building targeted audiences for Facebook ads. Image source. We often hear about uncertainties regarding the quality of fans. Well, I know that 31% of my fans have visited my website during the past 180 days. Considering my page has been around for more than 3 1/2 years now, I consider that to be quite good. What he’s found out is that he has managed to build a quality audience. By following Jon’s method, you’ll be able to find out for yourself the real value of your Facebook fans with real data – and ultimately assess the ROI of your efforts on social media. Using data to direct your social media campaigns allows you to make more educated decisions about your campaigns. You’ll find out how well they’re doing, and you can use the information to create more successful, results-driven campaigns in the future. Have you read an article that has helped you social media marketing? Tell us about it in the comments below!